Happy Memorial Day! I hope that you are enjoying the 3-day weekend and getting to spend some fun time with friends and family. 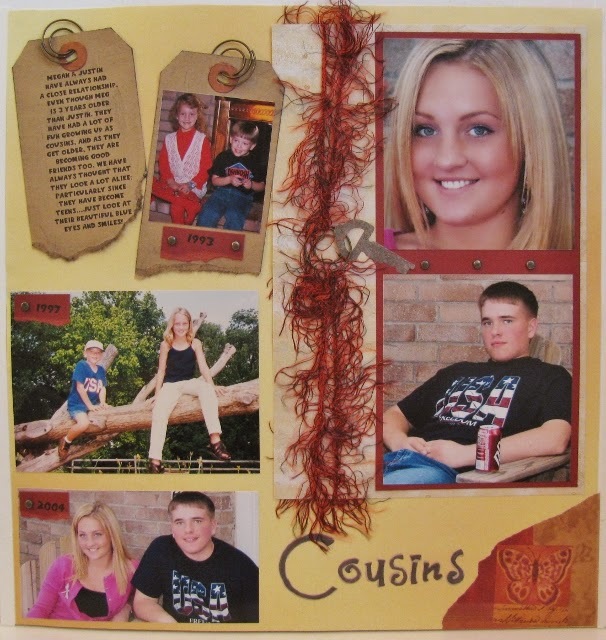 On this layout I showcased several pics of Meg and Justin growing up together, as well as a journaling tag about them. It's been said that cousins are a child's first friend(s), and I think that is so true. Thanks for dropping by! Be sure to check back each day this week for the final 4 posts of "A scrapbook Page a Day During the Month of May".